Steve W9THR and John KD9ECH erected a 2m/70cm JPOLE. 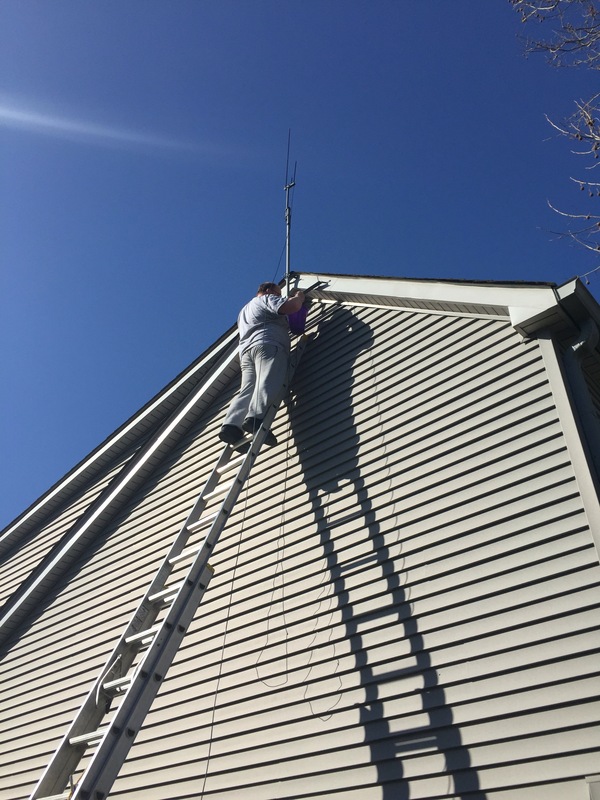 The JPOLE was built by Terry Cashion a local ham to enjoys building stainless steel style JPOLE antennas that resemble the Arrow JPOLE. The test results with only a few watts were amazing. 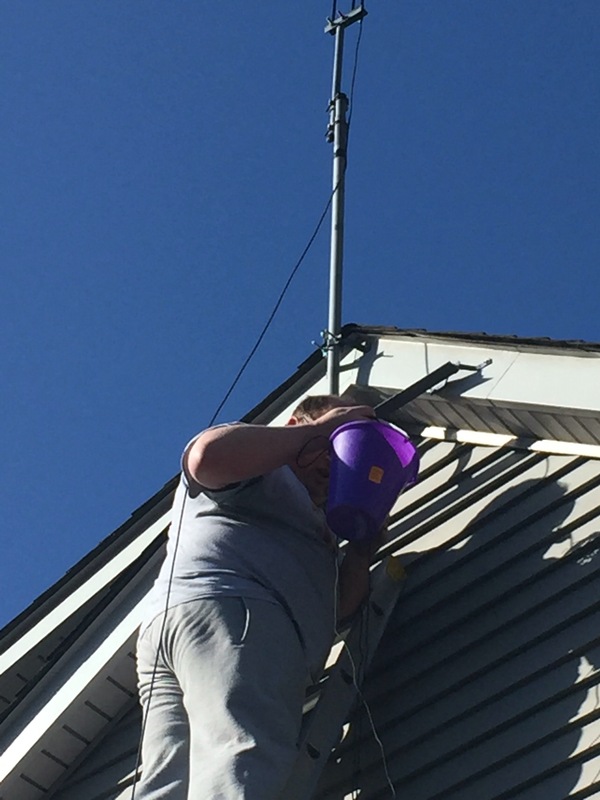 The ladder was 33 foot tall so we estimate the antenna peak to be at about 45 feet.